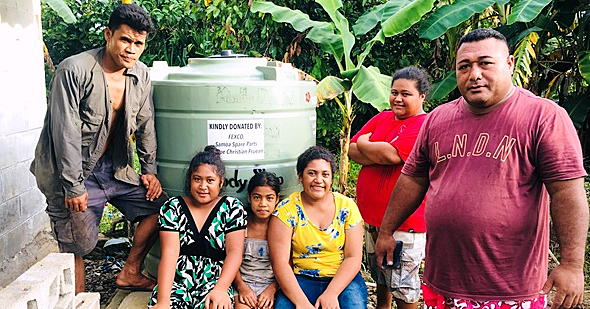 Digicel Samoa Ltd. has announced the payment of a $1,000,000 dividend to local shareholders, further demonstrating its commitment to Samoa and SNPF’s contributing members. The payment comes soon after a $4.6m return in March and follows Digicel’s promise to provide a regular stream of dividend payments. 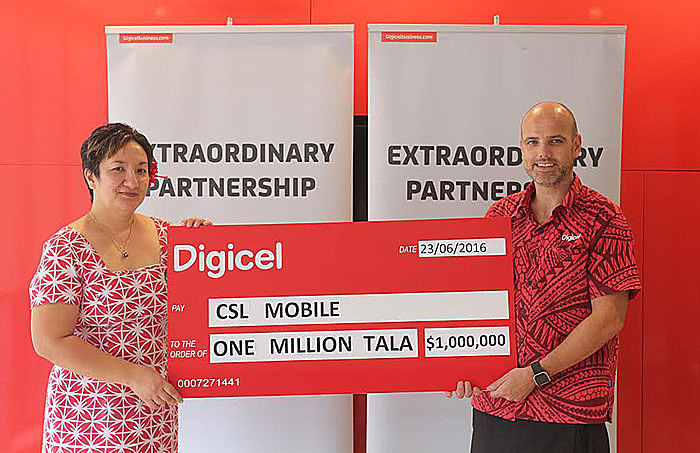 The C.E.O of S.N.P.F, Faumuina Esther Lameko Poutoa, received the cheque on behalf of local shareholders from Rory Condon, C.E.O of Digicel Samoa at Digicel’s headquarters at the S.N.P.F Plaza. 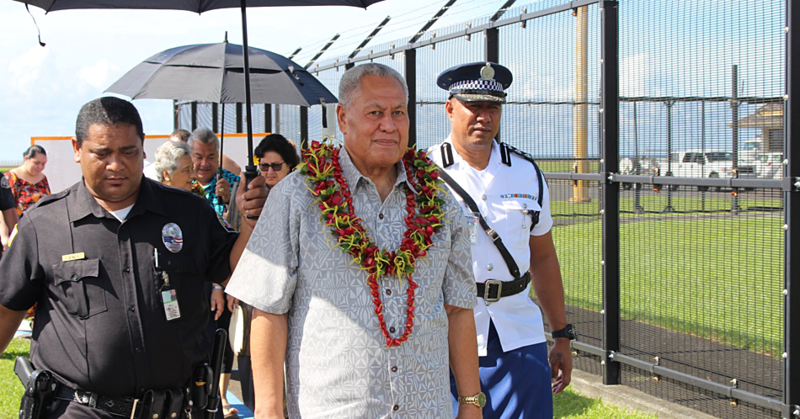 The company receiving the payment, C.S.L Mobile Ltd, is owned by S.N.P.F, S.L.A.C and C.S.L Ltd.
Faumuina said that the partnership between the Samoan government and Digicel continues to reap significant rewards for the community, from world-class services to community development initiatives and now a steady stream of financial returns to local shareholders, in particular S.N.P.F members. She attributed the success of the business to Digicel’s loyal customers. “Our partnership with Digicel continues to thrive. And as it thrives, our members continue to benefit. I would like to thank the Samoan people for their support of Digicel,” added Faumuina. Mr. Condon reaffirmed Digicel’s commitment to Samoa. Since its inception in 2006, Digicel has invested over $170 million to equip Samoa with the most modern communications infrastructure. Digicel continues to invest in expanding its network to ensure that it provides the people of Samoa with widest coverage on a world-class network. Additionally, it proudly supports a variety of sponsorships and grassroot community initiatives that matter to Samoans. By being with Digicel, Samoan people are investing in the future of Samoa.